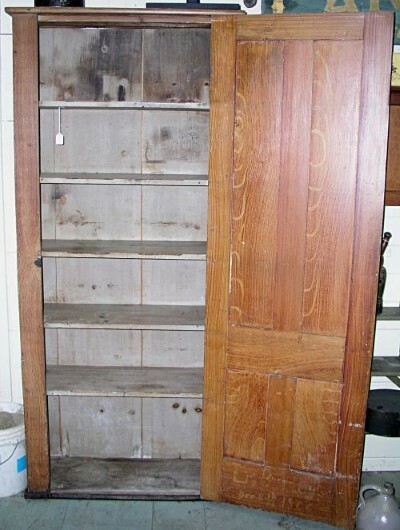 19th Century grain painted pantry cupboard found in upper state New York. Wonderful Oyster colored interior with plate rails. Signed and dated on inside of door L.B.Hoyt Dec.8th 1866. Please e-mail for shipping quote. Dimensions: 6`10" tall X 34 1/2" wide. Shelves measure 12" deep and cupboard is 13 1/2" deep.